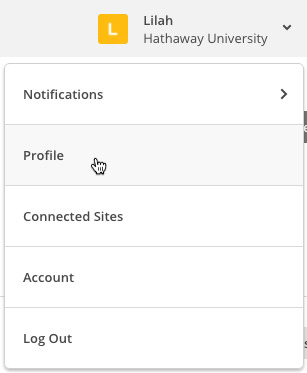 If you have Admin access, you can turn on notifications for your Mailchimp account to give you a heads up when a change is made. It's an optional security measure, but we strongly encourage all of our users to activate it for added account security. Click your profile name and choose Profile. Use the checkboxes under the Connections and notifications section to select which notifications you want to receive. You can choose to receive security and login notifications by SMS (text message) or Email. A login occurs with your username. An API Key has been generated. The contact information for your account has been changed. Someone attempts to download your list(s). A login occurs at a new location. While we don't charge for SMS notifications, your wireless provider may have their own charges associated with receiving text messages. Learn about user permission levels, how to grant access to a user, troubleshoot an invite, and change or remove user access.